WOW! 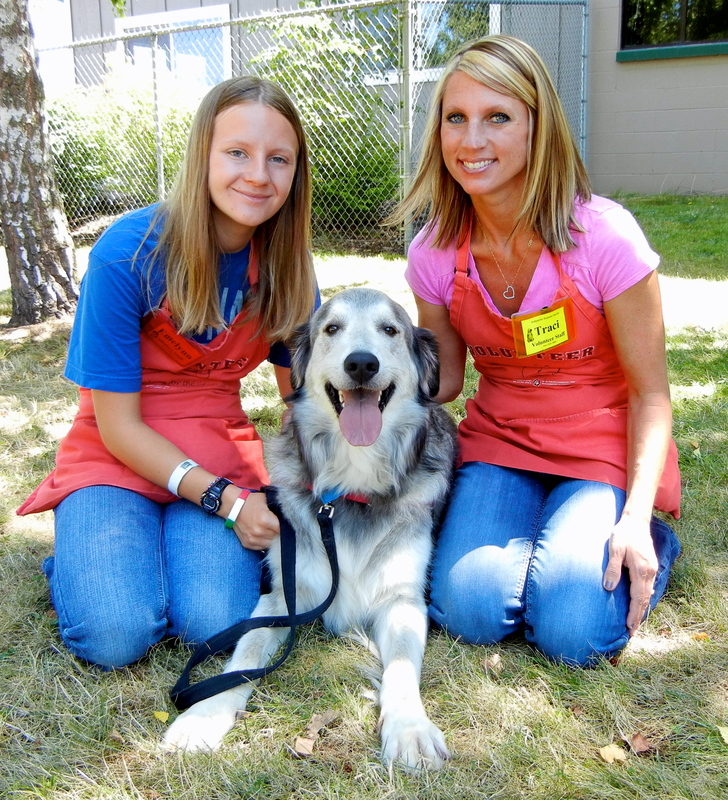 It’s been an incredibly busy week at Willamette Humane Society. 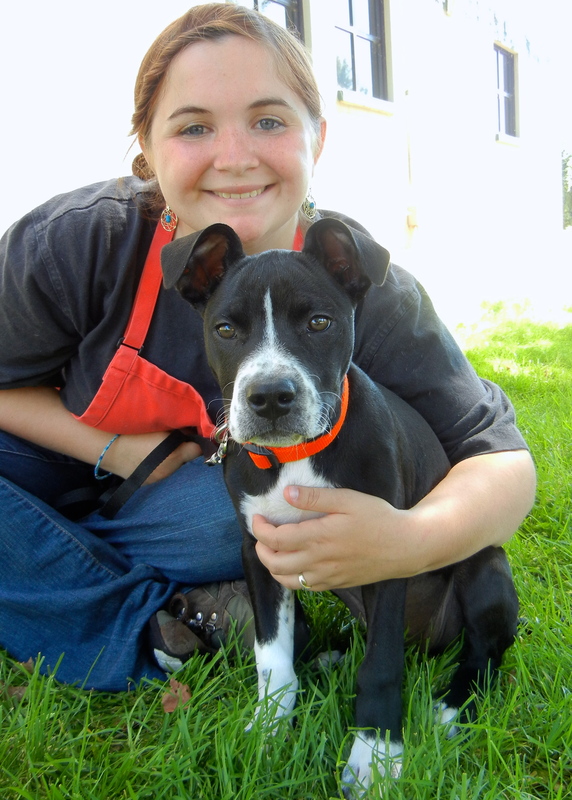 There have been so many adoptions and among them have been fourteen Blog Dogs! 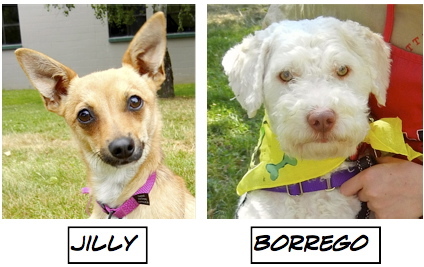 While there have been lots of adoptions, there have also been many new arrivals both from local and overcrowded California shelters. 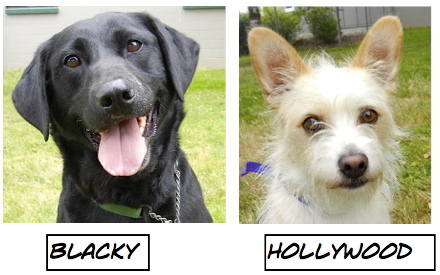 With the high turnover we are having, play groups have been especially fun and exciting as dogs who have been confined get to stretch their legs and meet new friends. One such case is Brady, a four-year-old Pit Bull Terrier mix who spent the past ten months at a California shelter hoping to be adopted. 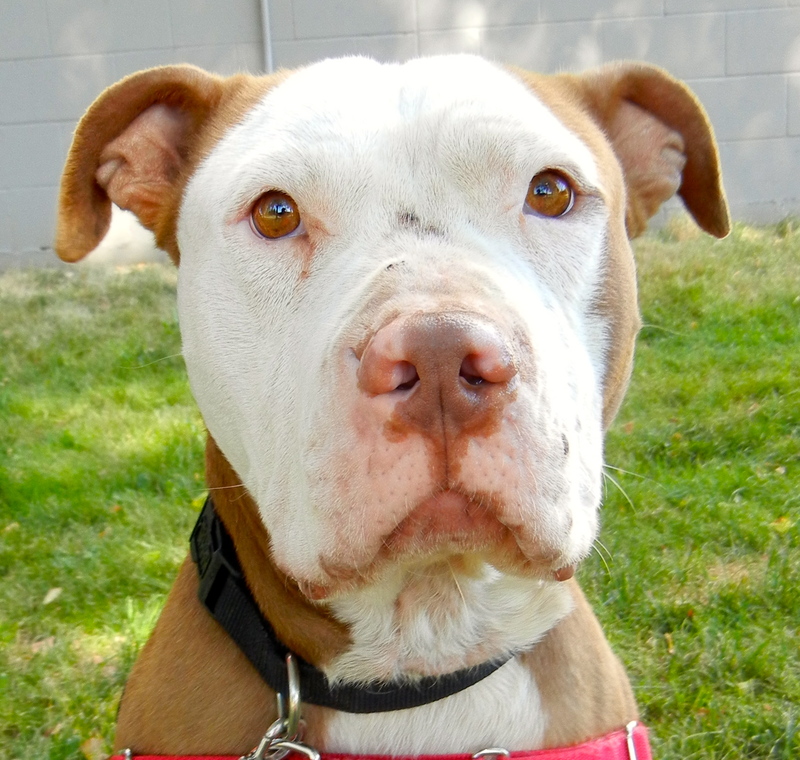 He was a favorite of the volunteers there and they are watching and hoping that he will finally find a forever home in Oregon. When I brought him out to play group on Sunday morning, he could scarcely believe his eyes. Dogs were racing around the yard and Brady took a moment to stop and just watch. 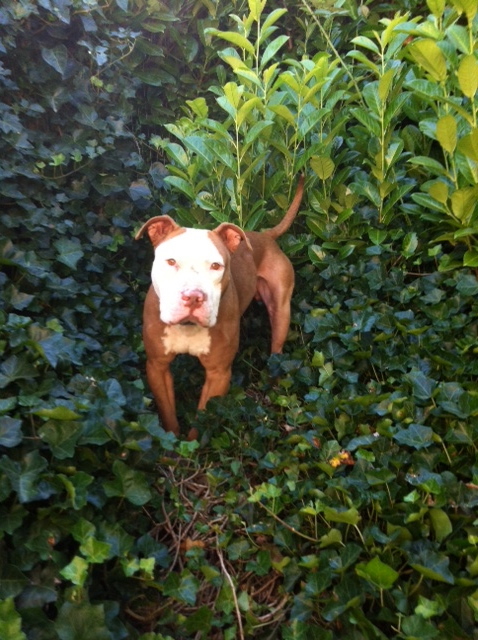 He was a little shy upon entering the yard, but it wasn’t long before he joined in the romps. 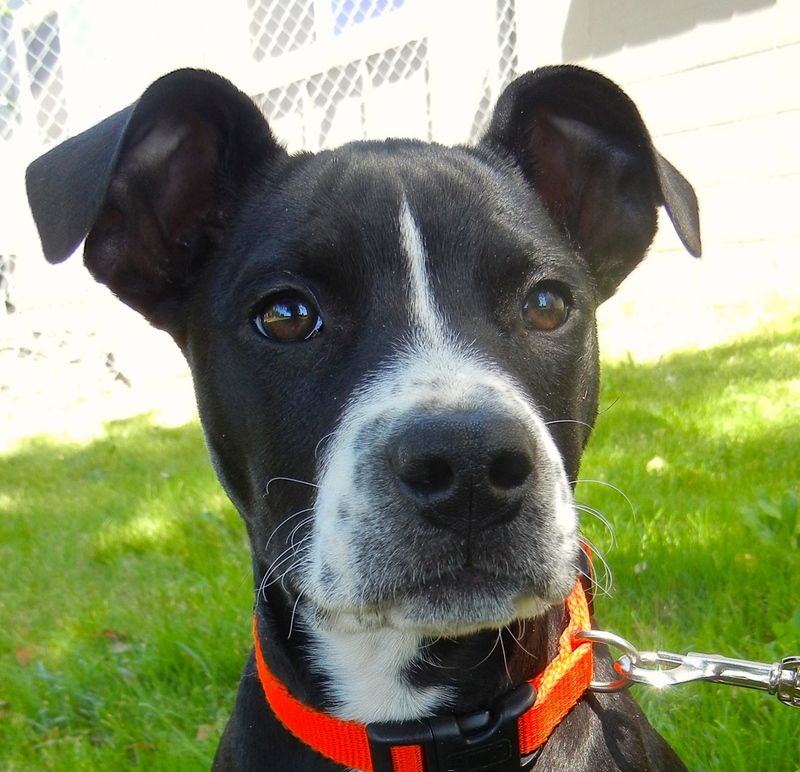 He quickly developed a crush on a three-legged Hound mix who belongs to one of the WHS staff. 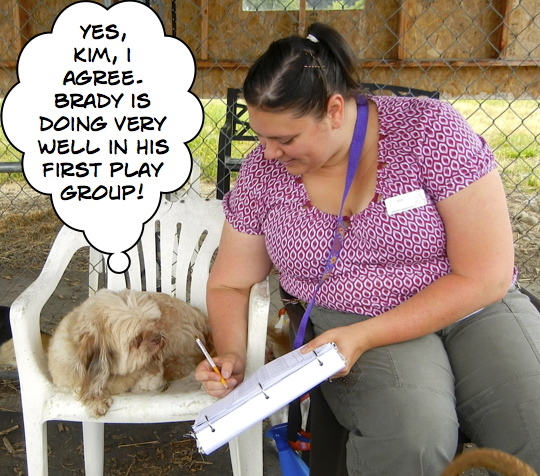 Brady’s joy was not only noticed by Orbit, but by Teddy, as well, who was helping staff member Kim make notes about dog activity. Another new arrival is Sadie, a very shy girl, ten months old, who is very nervous in her kennel, but once outside relaxes and has fun. She, too, enjoyed play group, though not the pool. In late May, WHS got an urgent request from California to accept a Pit Bull Terrier mother named Coco and her 13 newborn puppies who were in great need of care. 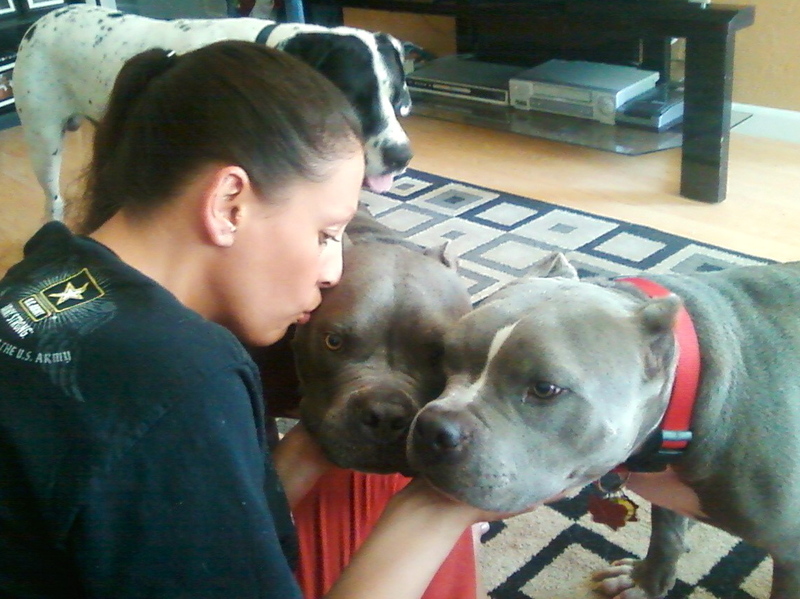 WHS contacted foster volunteer Krystal and asked if she was up to taking on this needy family. Krystal took a deep breath and agreed. 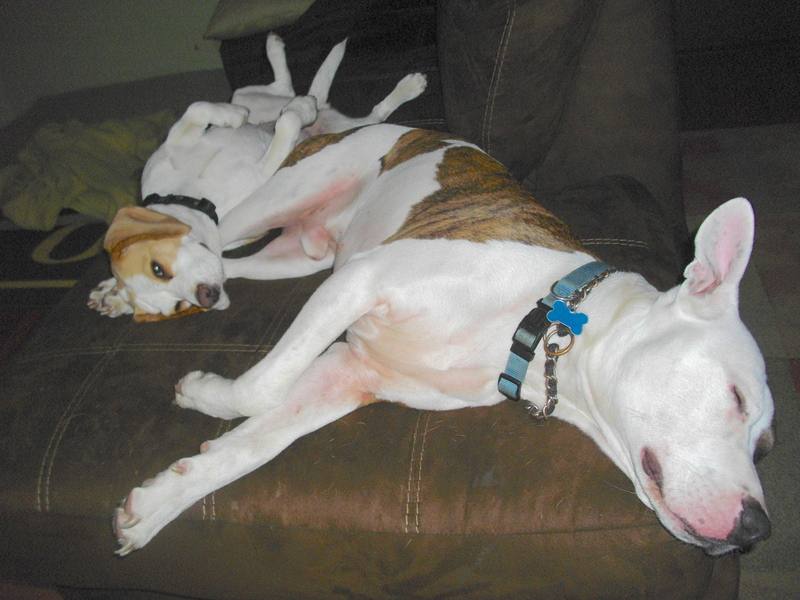 For the next several weeks, Krystal threw herself into caring for the family…doing endless loads of laundry of bedding, making sure all puppies were warm, clean, and fed, and encouraging and supporting the exhausted Coco. When Krystal had to be gone three days, she asked if I could puppy-sit and I jumped at the opportunity. 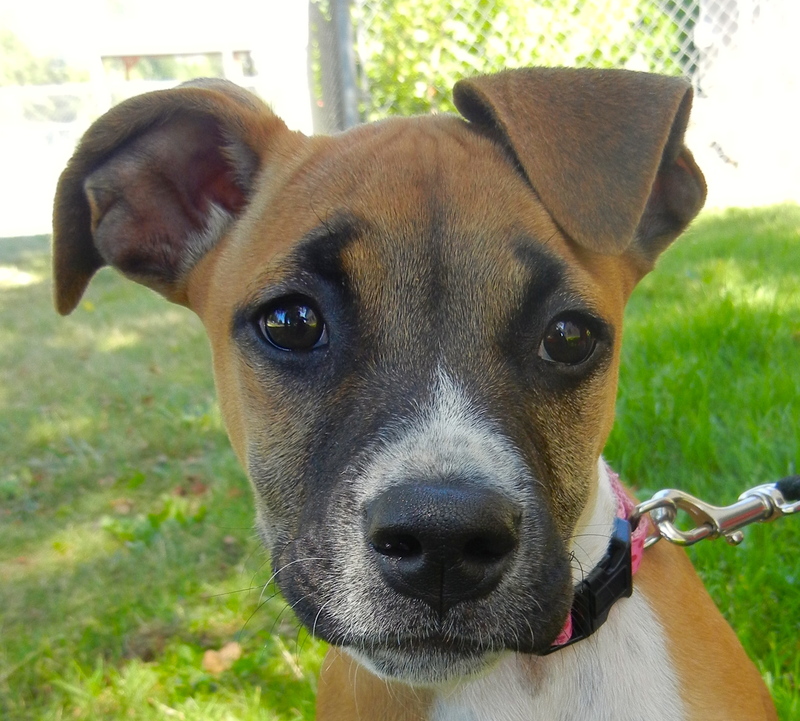 Camera in hand, I quickly learned what a responsibility, and how exhausting and time-consuming, puppy care is! In between loads of puppy laundry, I filmed the youngsters’ antics. As they grew, I made three short movies of them. 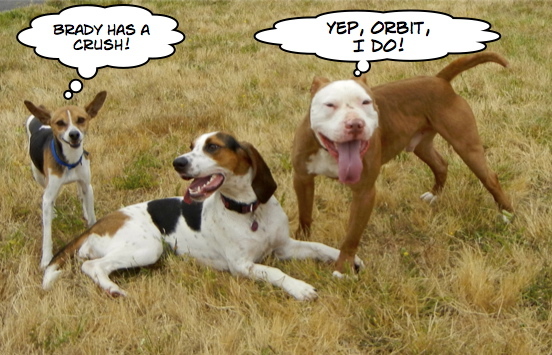 I couldn’t publish them until the pups were old enough to be adopted, but now I can. I hope you enjoy seeing these amazing little characters develop. 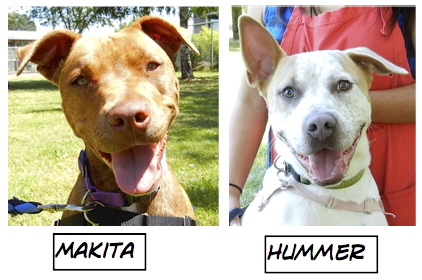 Some have been adopted and more are coming to the shelter from foster homes soon. 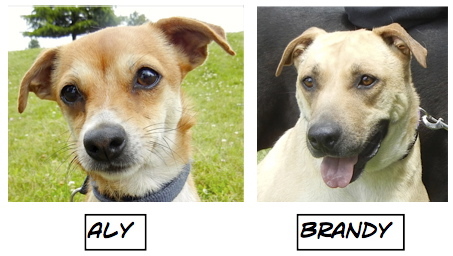 Two of the thirteen puppies are currently at WHS waiting to be adopted. 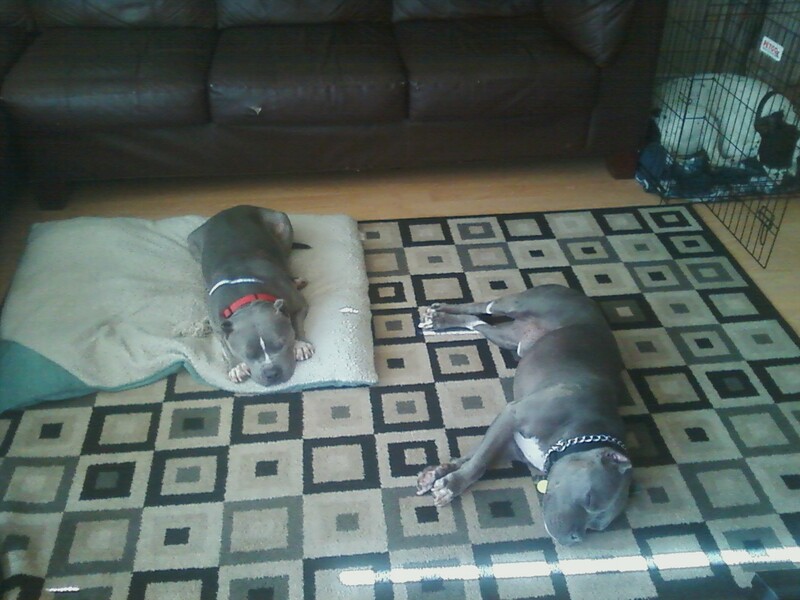 They are Xena and Lucy. They have grown a lot since the videos as you can see from the pictures I took of them today. Here is Xena. Sarah decided little Lucy needed a picture with her! 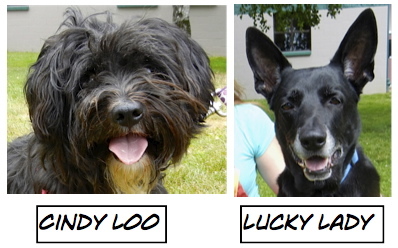 It’s so much fun to see these little characters growing up and being adopted into their forever homes! 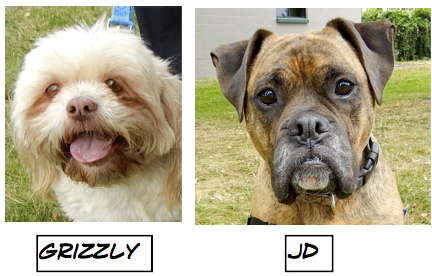 While WHS has received many new dogs, there are some old friends who are still waiting for the right family to find them. 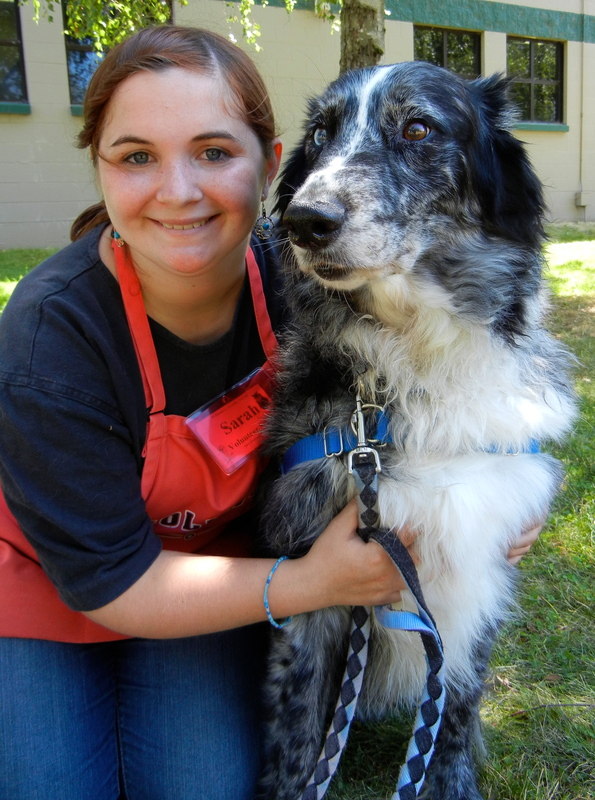 Among them is Daphney, an eleven-year-old Border Collie mix who has been at the shelter since July 8. She still has a lot of pep and yet is happy to relax with a person, too. Here she is last Sunday with Sarah. She loves to be petted! One of our new arrivals is Lucy, a Great Pyrenees/Golden Retriever mix who is two years old. 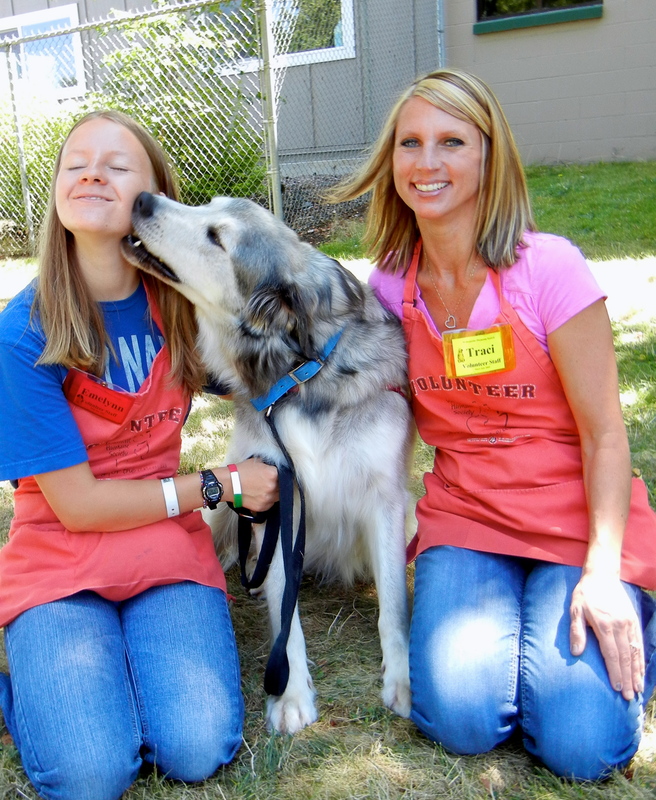 She is a gentle, calm dog who won the hearts of Emelynn and Traci in record time. She will make a terrific family dog. She sits and lies down on command. She took an instant liking to Emelynn! Here she is just enjoying being outside. 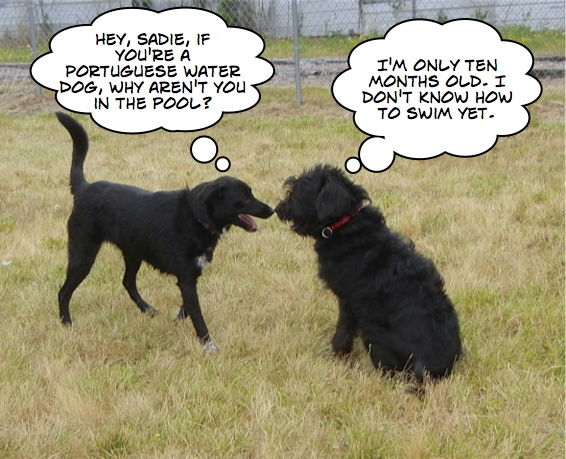 I’m part Portuguese Water Dog, but I’m not so sure about the water part! 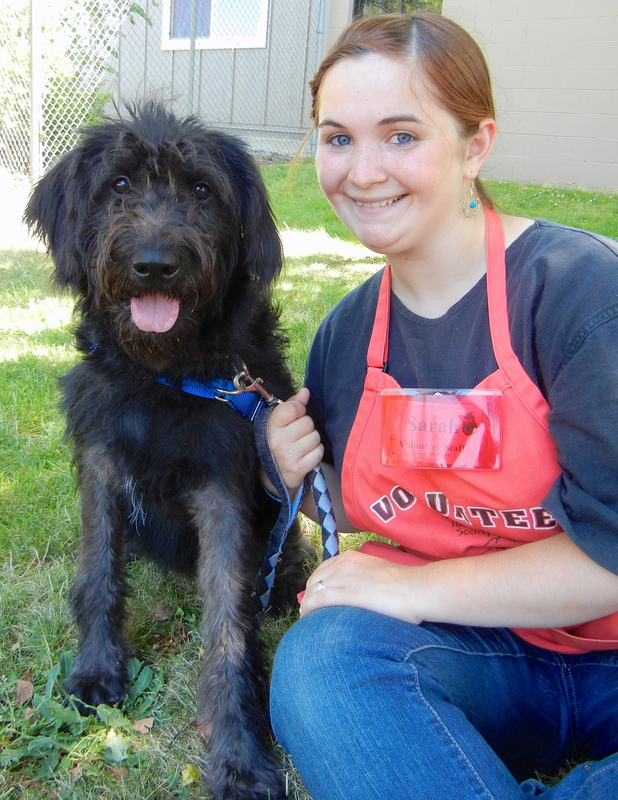 Another newbie is Sadie, and yes, she is a Portuguese Water Dog mix who is ten months old. Sadie is at first very shy in her kennel, but don’t let that fool you. 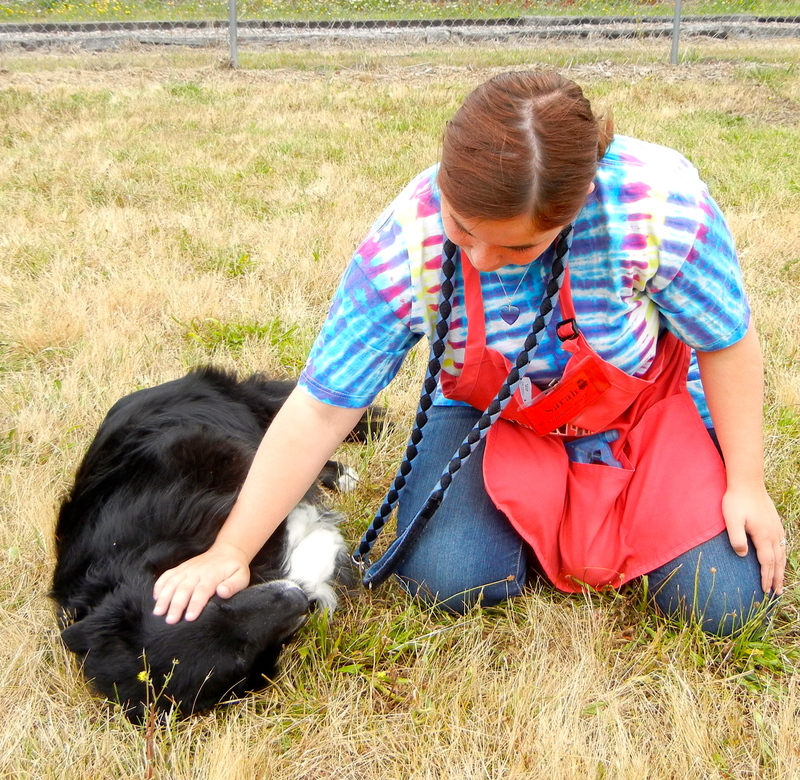 She loves being taken outside and hanging out with volunteers. 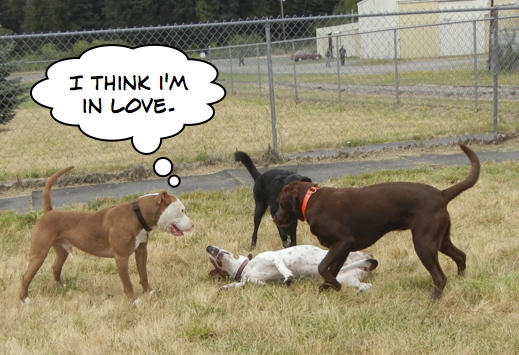 She had a great time in play group and Sarah has totally fallen in love with her. She is indeed a sweetheart. I may be big, but I’m a gentle giant! 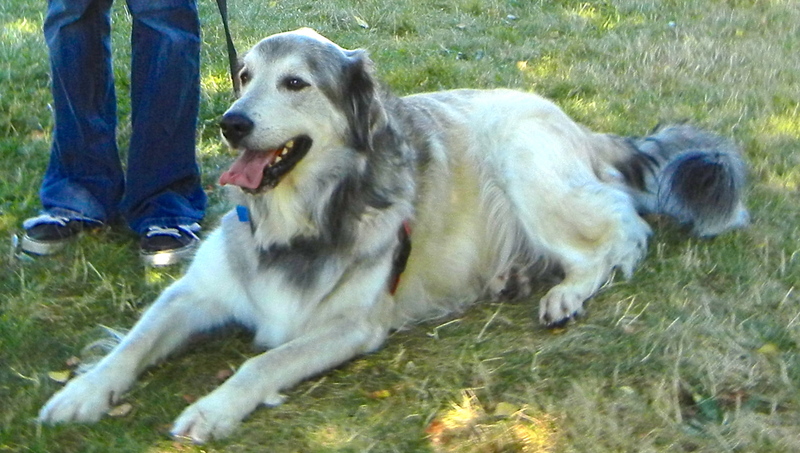 This is Dakota, a seven-year-old Australian Shepherd/Great Pyrenees mix. When he arrived at the shelter last Sunday, he was very stressed and didn’t understand why he was there. 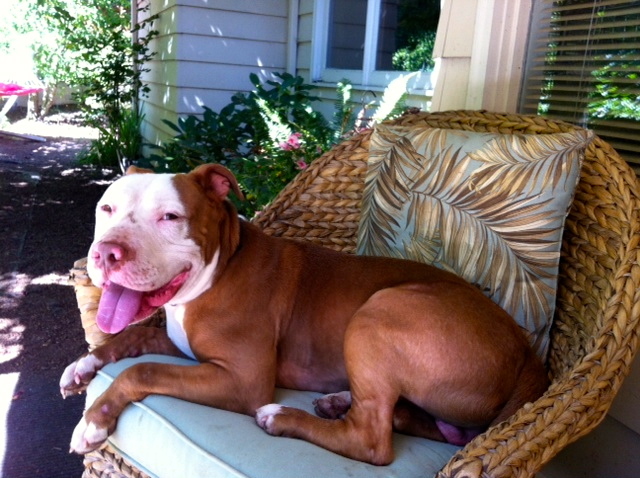 Today, happily, he was much more relaxed and excited to be out with Sarah for some yard time. 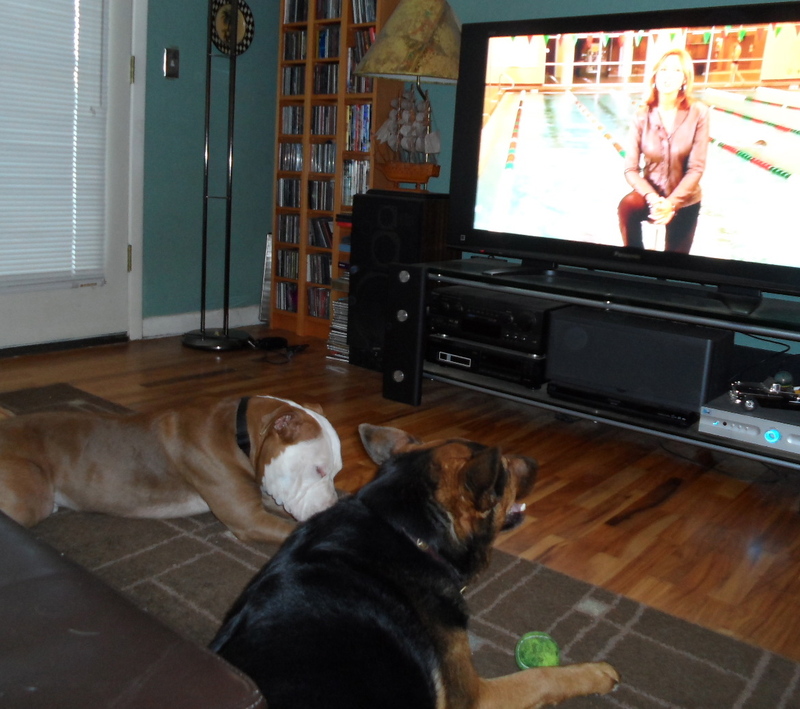 Dakota likes kids and is treat-motivated, so is easy to train. 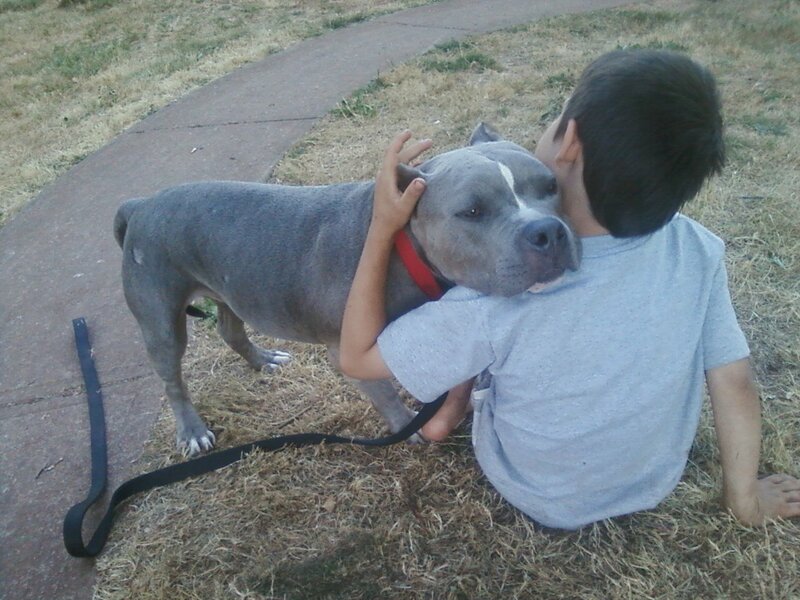 He is affectionate and smart, too. He really is a gentle giant! I love this picture of him today. Yes, he does have two different colored eyes. My name is Brady and I’ve been waiting for almost a year for a forever family! 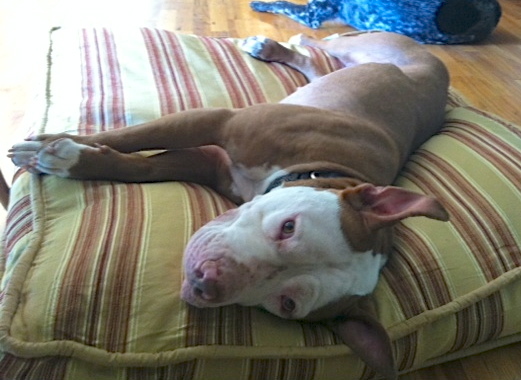 Remember Brady, the four-year-old Pit Bull Terrier mix who had such a great time in play group on Sunday at the beginning of this post? Here is his “formal” picture on our website. He took the photo session very seriously and I couldn’t get him to smile. 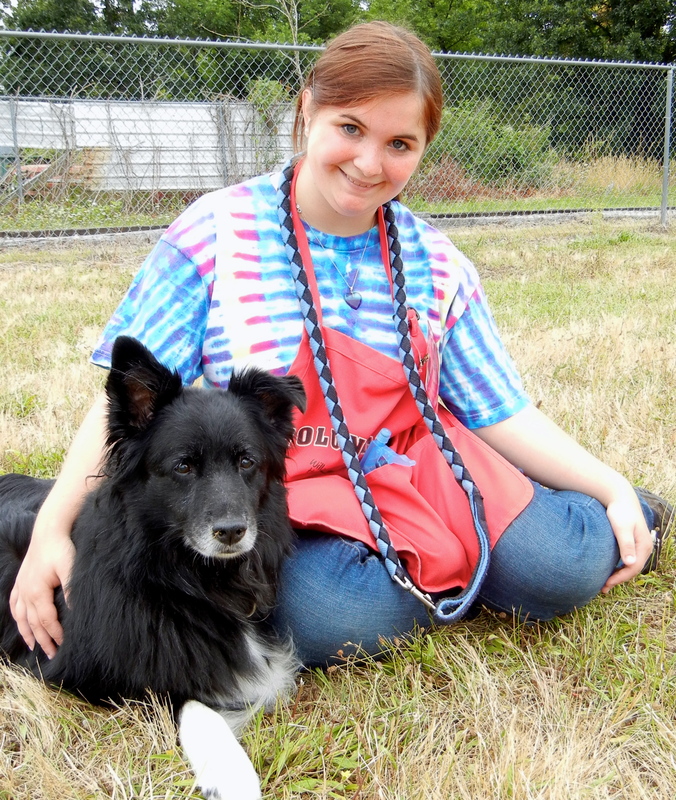 Brady’s story and his wonderful personality have won the hearts of many volunteers, including Beth’s. So I wasn’t surprised when Beth told me that she was taking Brady home for a respite. Here is her report. And here are the pictures from Brady’s experiences at Camp Cooley. Brady had a wonderful time at Beth’s house. The only thing better would be for him to have a real home of his own. And she sent along some pictures, too! 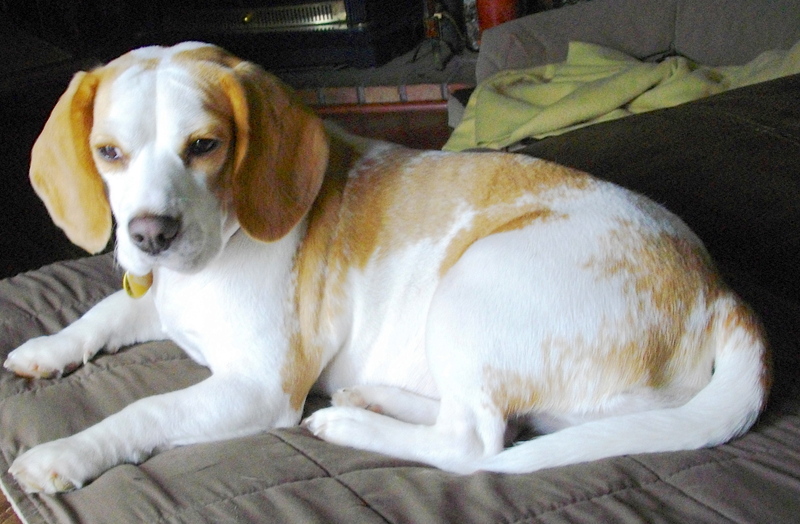 I got this great note from a person who adopted a Beagle named Bisbee. 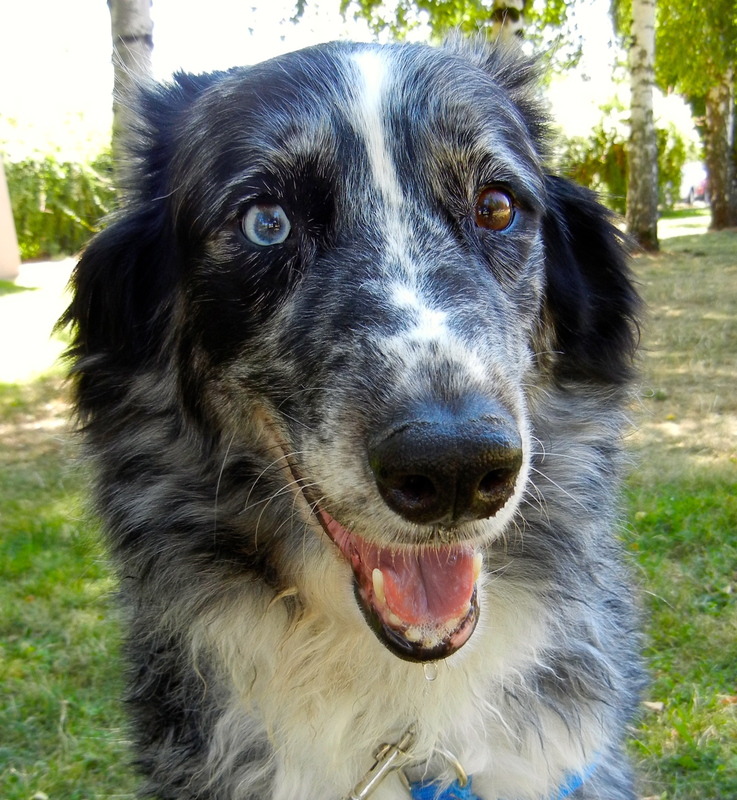 She was a dog who was adopted before I got a chance to meet her and take her picture. But I was excited to get this update about one of our alumni. This brings up the age-old question…do we choose the dog or does the dog choose us? I’ll be there taking pictures so I hope to see you on Saturday! 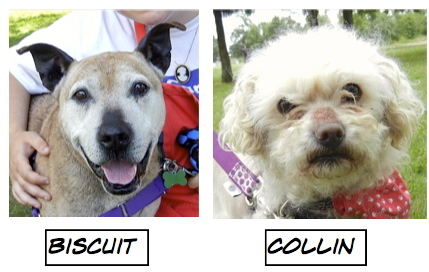 I always love reading your posts about the dogs. Whatever happened to Molly? I hope she was adopted. She was an older dog. 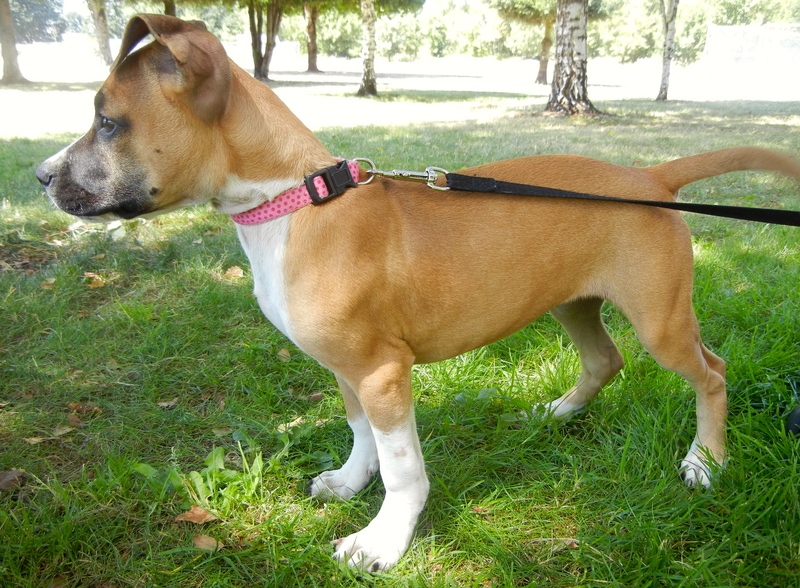 Molly went to Hopes Haven rescue where she will be very happy.